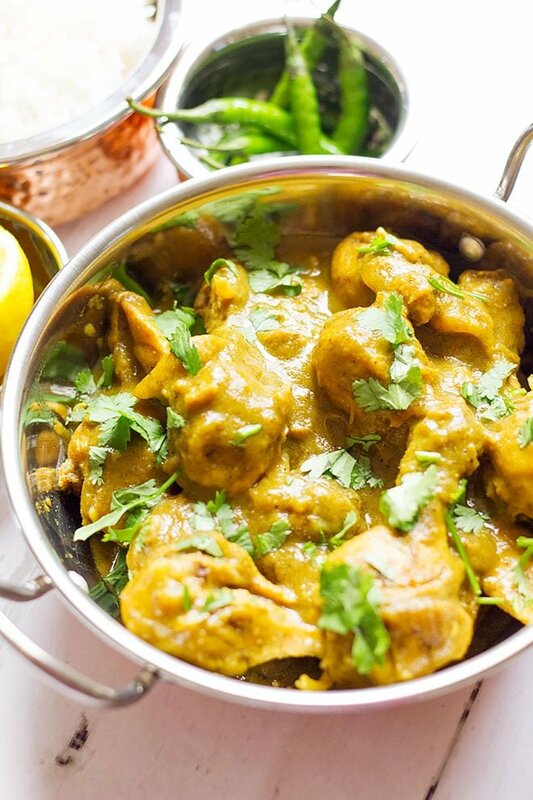 Chicken curry is a great tasting Indian dish, and today I brought you the authentic flavor plus I will save you time. 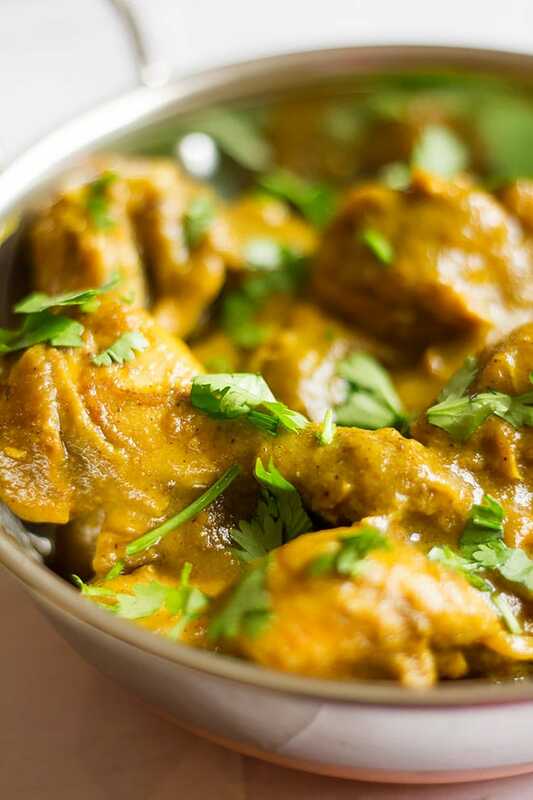 This chicken curry recipe is quick, easy, and delicious. You can use any part of the chicken, but I have used chicken legs because that what I had. If you are interested in curry recipes to check out my Lamb coconut curry, it will blow your mind! 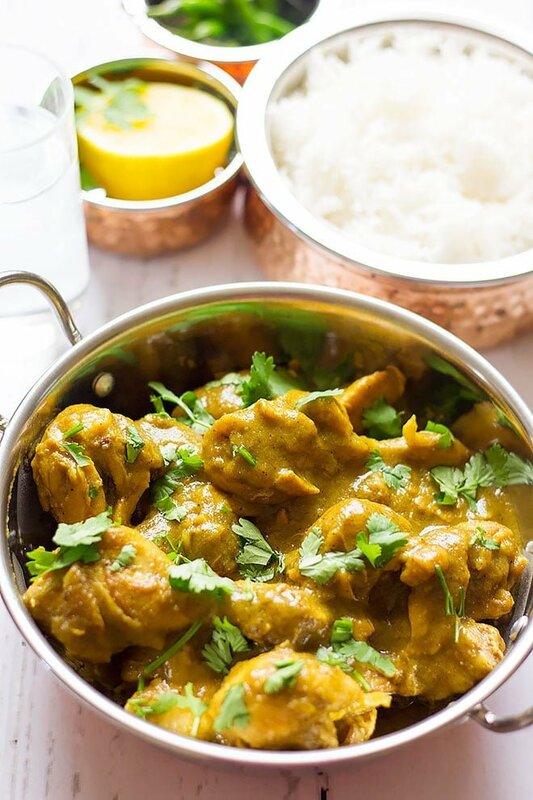 How to make quick chicken curry? There are no chopping vegetables here, blending the onion, garlic, and chili in the blender cut a lot of time. It’s best to do the blending first and then measure the spices, mix them, and keep them aside. Clean the chicken and pat it dry, this will reduce the cooking time of the chicken. 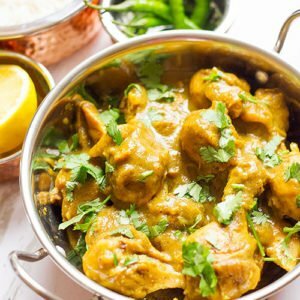 I have used Ghee in this chicken curry recipe, but you can use oil, but don’t use olive oil here. You can make Ghee at home or buy it from the store; it adds great flavor to your cooking. 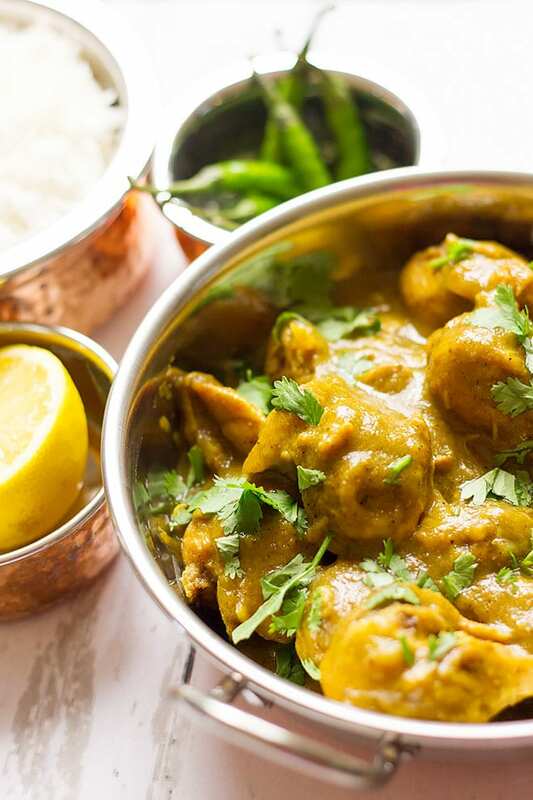 After adding the ghee to a deep pan, add the onion and garlic mixture and stir for few minutes to ensure that it is half cooked, then add the chicken and the spices. It is important to stir occasionally to prevent the spice and the chicken from burning and allow the chicken to cook from all sides. Always add boiling water to the curry while cooking, adding cold, or room temperature water will slow down the cooking process. 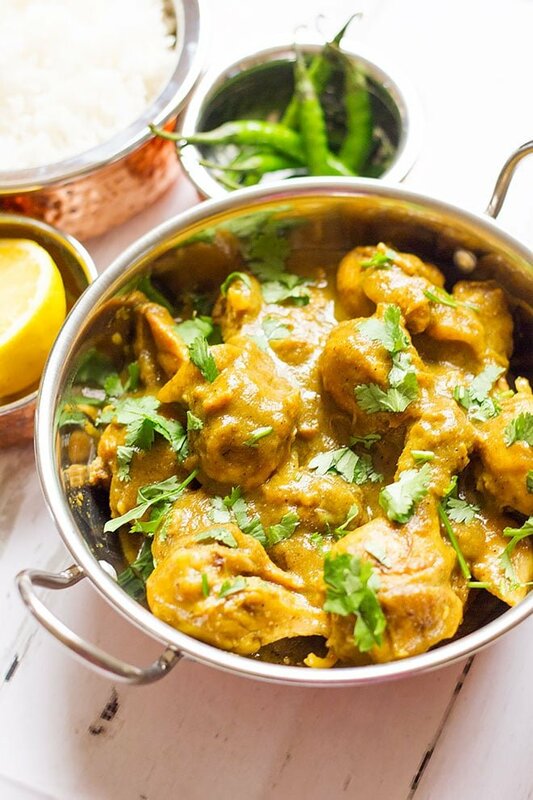 How to serve chicken curry? I love having a chicken curry with paratha or with rice made of coconut milk, but you can use nan bread and plain white rice, even brown rice. Can we use chicken breast in this recipe? You can use any part of the chicken you want, but if you want to use chicken breast only then add two cups and half of boiling water instead of three and turn off the heat when the chicken breast is cooked, otherwise it will turn out dry. You can omit the red chili powder if you think it will be too spicy for you, it will not affect the taste of the chicken curry. 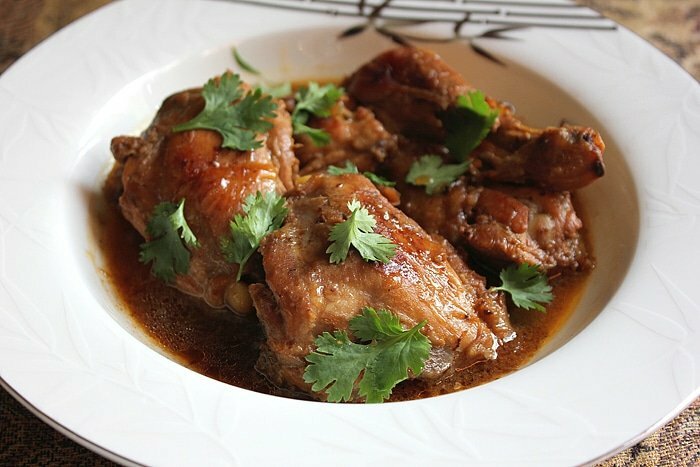 Tender chicken in thick and flavorful gravy. An Indian dish that will become your favorite. In a blender add the ginger, green chili, garlic cloves, onion, and ¼ cup water. Blend until smooth and keep aside. In a deep pan, add the ghee and when hot add the mixture prepared in the previous step. Stir for three minutes on medium high heat. Add the chicken and occasionally stir to prevent the chicken from burning. When the water evaporates, and you can see some of the ghee, add all the spices and salt. Stir for two minutes and then add the boiling water. Let the mixture cook until 1 and a half cup of the gravy is left, and some of the ghee separates from the gravy. 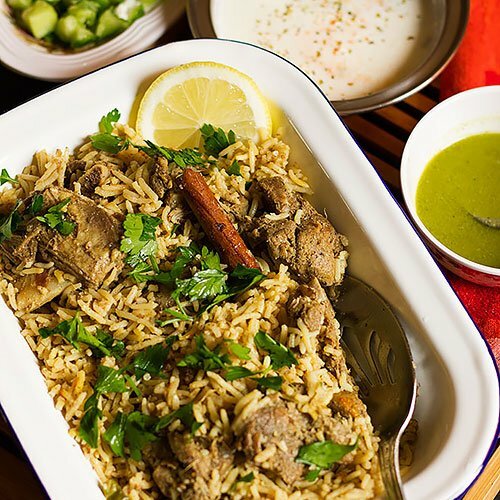 Serve with plain rice or paratha. That curry gravy looks so GOOD and I love how easy and quick the preparation is.